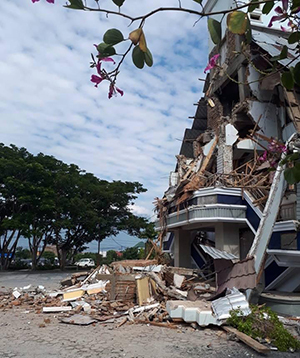 More than 1,400 people have lost their lives and over 800 are injured after a 7.5 magnitude earthquake struck the Indonesian island of Sulawesi, setting off a disastrous tsunami. Survivors are in are in desperate need of food and water. ERDO, in partnership with the Pentecostal Church of Indonesia is responding to this crisis by providing families in the vicinity of Palu with emergency items. Your gifts are greatly appreciated. Thank you very much for your generosity.